How to add stamp for your file? No matter the company or the individual, before printing the document, we would like to add some mark which can stand for your company or yourself. If you need some kind of tool, please read this article. 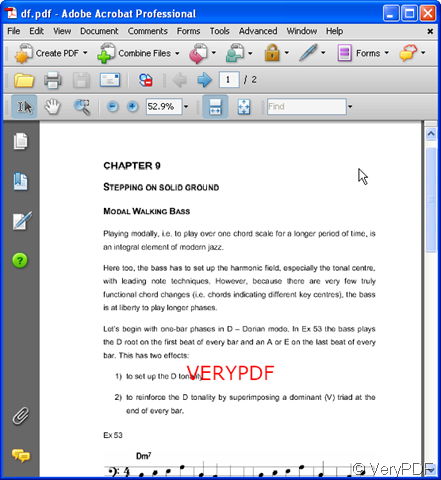 I introduce a software which enables you to stamp content into a PDF document.It is VeryPDF PDF Stamp v2.3 which lets you stamp watermarks such as "Confidential" on pages that include sensitive information or "Draft" on a preliminary PDF document to be distributed for review. You can stamp PDF document names, revision numbers, Date/Time stamps, pages numbers, contact information or any text that you need added to the file. 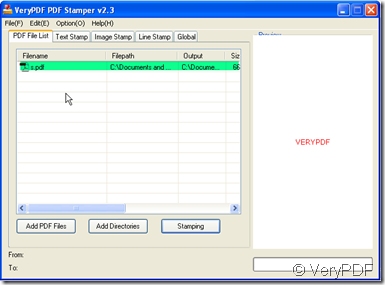 Then I will show you how to add stamp for you file by PDF Stamp v2.3. Make the stamp. There are three kinds of stamp form: text stamp, image stamp and line stamp.You can choose the one you want or you can combine all the stamp forms together. End the conversion. If you have finished the designing, please back to the “PDF File List” label, then click the button “Stamp”. Maybe in a second, the PDF file with the added stamp will show up in your appointed folder. Through checking the example, we can get that by PDF Stamp v2.3, you can add any kind of stamp for your file. Matter needs attention for some old customers of this software: If your software can not be stamped normally, maybe it needs updating. Please send us a ticket, we will update for you as soon as possible. 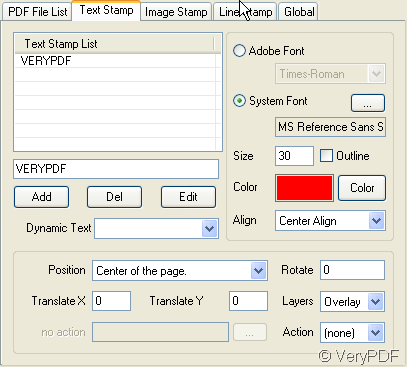 How to batch customize PDF descriptions yourself? How to print PDF using low resolution via command line? 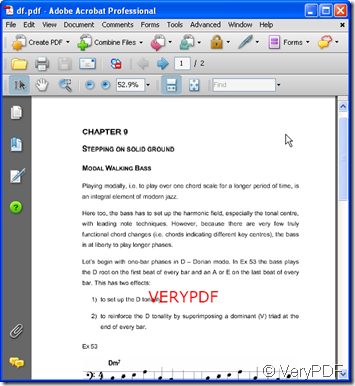 How to convert PDF to text under Mac system? 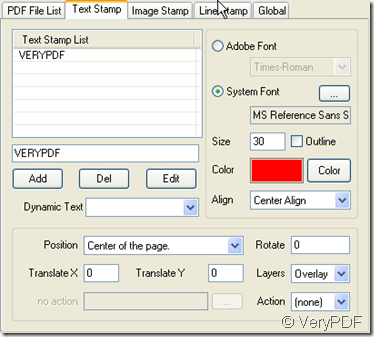 How to stamp qrcode or other barcodes to different paper size of PDF pages? This entry was posted in PDFStamp Command Line. Bookmark the permalink.